Indoor plants and pets constantly accompany us in a current of all life. House interiors would be colourless without indoor plants, and life in the house would be boring without house pupils. This room of our house specially for them. 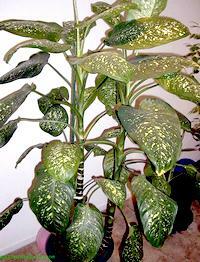 The dieffenbachia plant is a small genus in the araceae family and aroideae subfamily. These tropical plants are best known for their unique foliage which consists of variegated, oblong leaves and fleshy stems. In color, their apexed leaves are medium green with either yellow or cream centers – depending upon the species – and deep green outlines. Their flowers – which are made up of a spadix that is well concealed by a green spathe – are highly subtle, and often go unnoticed. Dieffenbachia, which is native to South America, grows its best in rich, thoroughly moistened soil, and can thrive in low sunlight. Originally it was a greenhouse plant but the recent scientific advances helped evolve new varieties that are easy to keep indoors. This plant is very popular worldwide mainly due to its easy care and for its impressive foliage. Its stems look like canes that can reach a height of 1 m or more. Its large leaves are oval in shape with sharp edges or in other varieties long and narrow. The base of each leaf is wrapped around the stem. The differences between varieties are, apart from the shape of leaves, in the second color of the leaves, in tones that vary from pale white to vivid yellow. Cacti are succulent plants that live in dry areas (xeric environments). They can survive long periods of drought (a lack of water). Cacti have many adaptations that allow them to live in dry areas; these adaptations let the plant collect water efficiently, store it for long periods of time, and conserve it (minimizing water loss from evaporation). Cacti have a thick, hard-walled, succulent stem - when it rains, water is stored in the stem. The stems are photosynthetic, green, and fleshy. The inside of the stem is either spongy or hollow (depending on the cactus). A thick, waxy coating keeps the water inside the cactus from evaporating. Many cacti have very long, fibrous roots, which absorb moisture from the soil. 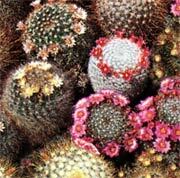 Some, like ball cacti, have shorter, more compact roots that absorb dew water that falls off the cactus. Instead of leaves, most cacti have spines or scales (which are modified leaves). These spines and scales do not lose water through evaporation (unlike regular leaves, which lose a lot of water). The spines protect the cactus from predators (animals that would like to eat the cactus to obtain food and/or water). Areoles are circular clusters of spines on a cactus. Flowers bud at an areole and new stems branch from an areole. A kitten, which will soon grow into an adult cat, is for life and it is well worth spending some time considering what breed is right for you. Do you need a lively type of kitten, a show-off and an extrovert? If so, the foreign shorthairs are more likely to suit your needs. If you fancy the quieter longhairs, the question you need to answer is, have you the time and patience needed to groom one? This must be done on a regular basis from the day you bring home a longhaired kitten. 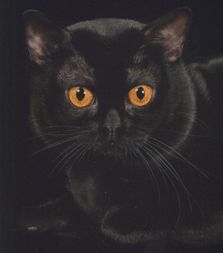 If you or members of your family are sensitive to cat hairs you may be better with a shorthaired kitten or none at all. A cat show is a good place to see the various breeds of cat but DO NOT take a cat home from a show as there is a risk of infection. If you see a cat or kitten you want to buy, arrange to take it one or two weeks after the show. 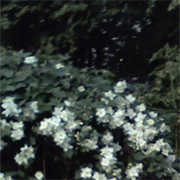 Jasminum is the Latinized form of the Persian name, yasmin. And multipartitum is Latin meaning 'with many parts or compartments'. These are tropical, sub-tropical and hardy, deciduous and evergreen shrubs or climbing plants. They mainly produce yellow or white, often very fragrant flowers. They grow wild in Asia and other various regions. Used traditionally as a love charm and to make a herbal tea, fragrance baths and pot-pourri, the genus is important for its horticultural value as lovely well-known ornamentals and popular garden plants. Sprigs of this jasmine are delightful in flower arrangements as the buds will still open after they are picked and their scent pervades the house.The well-known perfume associated with jasmine is extracted from a species native to Iran, Jasminum officinale. Grand Duke of Tuscany Origin: Iran. A slow growing Jasmine but grandest of them all, with the largest flowers. Up to 1.5" double flowers look like miniature roses. This tall growing shrub has Gardenia type flowers. The older plants seem to be more fascinating in providing flowers of different shapes and sizes on the same plant at the same time. A flower stays for a long time (few days) and doesn't drop off and in most cases will dry right on the plant. Same sweet fragrance of Maid of Orleans but stronger. This bushy compact plant needs a little more special attention than other Jasmines. 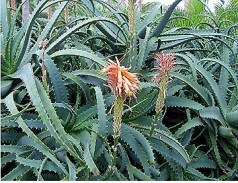 There are over 250 species of Aloes in the world, mostly native to Africa. They range in size from little one inch miniatures to massive plant colonies consisting of hundreds of 2 foot diameter plants. Although most Aloes have some medicinal or commercial value, the most commonly known is the Aloe barbadensis, better known as the Aloe Vera. All Aloes are semi tropical succulent plants, and may only be grown outdoors in areas where there is no chance of freezing. However, they make excellent house plants when they are given sufficient light. Container grown Aloe plants benefit from spending their summer outdoors. Older specimens may even bloom, producing a tall stock covered with bright colored coral flowers. The nectar from Aloe flowers is a favorite food for hummingbirds! Aloes have a shallow, spreading root system, so when it is time to plant, propagate, or repot choose a wide planter, rather than a deep one. Use a planter with a drainage hole, or provide a 1-2 inch layer of gravel in the bottom of the pot to ensure adequate drainage. I find terra-cotta pots are perfect for aloe because they don’t retain the extra moisture that could damage the plant, but, if you are careful not to over water any planter will do. When you pot your aloe offshoots, or the main plant, use regular potting soil with a extra perlite, granite grit, or coarse sand added. You may also use a packaged ‘cacti mix’ soil. I have had success with a composted ‘cow manure’ product. Dampen the soil before potting. The plant won’t require more water for a couple of weeks. Then pierce the soil with a fork, breaking up the hard surface, down to about two inches. This allows the soil to better absorb the water. Water lightly until it comes out of dormancy in the spring.